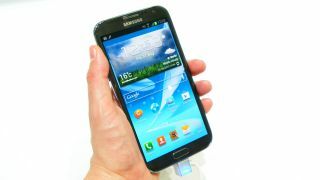 The 5-inch screen may become the industry standard for smartphones in 2013. Though Sharp is already manufacturing 5-inch 1080p LCD screens, the company could have a bit of competition from Japan Display Inc. (JDI). Starting this month, JDI plans to begin full-scale production of its own 1080p LCD screens, with a 443 PPI ratio identical to that of the screens Sharp's shipping out. JDI's production is part of a joint-venture between the company, Sony, Toshiba and Hitachi, with the latter three contributing manufacturing expertise in crafting the full-HD (1920 x 1080) phone-fronts. With companies like HTC reportedly working on new 5-inch phablets, and others phones like LG's Intuition and Samsung's Galaxy Note 2 in production, the shift to bigger screens is already happening. That said, both Sharp and JDI's new HD screens will have a drastically better pixel density than anything currently on the market, or soon shipping. For comparison, the Galaxy Note 2's Super AMOLED screen provides just 267 PPI, while other potential competitor screens, like that in the iPhone 5 (326 PPI) and the Galaxy S3 (306 PPI), are both smaller and less sharp. The new screens will also have a 1,000:1 contrast ratio, and be a razor-thin 1.4 millimeters (.05 inches) thick. JDI will have the screens on display for the first time at FPD International 2012 in Yokohama, Japan starting on Oct. 31. Via CNET, Japan Display Inc.